These are the words of a 24-year-old resident of Belize City, who grew up on Pen Road in the Southside of said city. He attended Primary School at St. John's Anglican, where he graduated as Valedictorian. He went on to Edward P. Yorke High School, where he also graduated with honors and as a prefect. 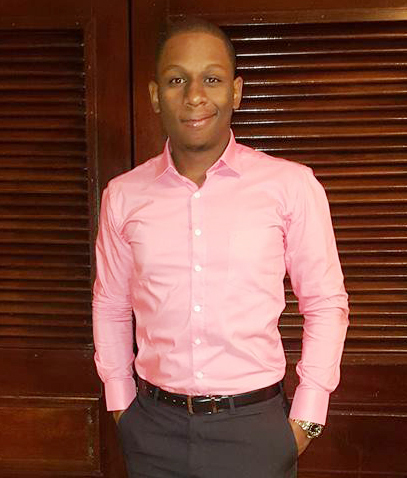 He obtained his Associate Degree in Paralegal studies from UWI and is currently pursuing a Bachelor of Science degree in Political Science from the UWI. He is also the founder and president of Group Hug, a community-based charity organization that targets the at risk populations in Belize City, Hattieville and Mahogany Heights. Written by Andre Agustus Pitts on July 11th, 2016, this powerful piece resonates even more today. Every time I hear sirens howling from a distance through the city streets, I can imagine that the lifeless body of a young, black man from Southside Belize City is being hauled away. I know that his mother is being assaulted by the memories of his first step, his preschool graduation, the potential she saw in him, and quite normally, she reflects on the first time he started giving trouble. I know that his father feels a sense of guilt, wishing he was around more. I know his girlfriend wished he had spent the night next to her instead of on the unforgiving street side. I know that the lifeless body in the rusty pan of a police mobile was, one or two hours ago, powered by vibrations, illuminated by a smile covering the hopelessness, fear and anxieties of the young black man. Most importantly, I know that I am him and he is me. Our stories are all the same. I grew up on Pen Road in the heart of the South Side of Belize City. Hardly anyone on my street had a father present in the household, and most of us depended on a grandparent to serve as babysitter while our mothers would clock in extended hours at work to make ends meet. The community was one big family (maybe not always a happy family). On any given day I could have had a child from the opposite end of the street in my yard playing marbles, ‘land’ and hopscotch, or, I could have found myself at the other end of the street riding a bicycle that was obviously too big for me, looking for the biggest tadpoles in the deepest drains. Life in that part of the city was not fancy but it was not all bad. As in any part of the city or in any part of the world, you could have identified the trouble makers, the smarty pants, the ‘cry-a babies’ and a host of other characters. I went to primary school at St. John’s Anglican which was an experience that will always serve as my reality check. With the school fees being about $35 a year, it was a school that saw mostly marginalized children hosted. For myself and two sisters, we were there perhaps out of tradition, since our grandfather was an Anglican lay minister and most of our other relatives had gone there. I had many fun experiences at Primary School, and met lifelong friends. I had about 5 heartbreaks at primary school, some that I am probably still recuperating from. Despite the fun and sweet memories, I was a bit traumatized by the experiences. There were incidents that grew tolerated and were eventually solidified as norms. Every Friday, by 4pm, there was a fist fight behind the school where everyone would assemble to cheer on. Even if there was not a quarrel or tension, students would VOLUNTEER to fight, simply to keep the streak going. Like I said, even at 10 years old, violence already established itself as a norm. There were instances where students fought teachers, rivalling students from other schools and students who lived in other ‘turfs’. I remember when the plastic ‘BB guns’ grew popular on the shelves of every Chinese grocery store. I had a friend, intelligent, who discovered that by gluing an extra cartridge below the one in the gun, he could ‘war’ much longer than anyone else. A young engineer. From those seemingly innocent BB guns, ‘beef’ had materialized after one classmate opened fire on a young man from a neighboring community. The police had to be called in; this was in Standard five. There was always that one student, who after getting into a fight would declare ‘I wah bring my big bredda afta you’. A bluff? No. By 4pm, my 9 year old friend would have by his side his 20 year old relative, to exact revenge on another 9 year old. If a teacher would punish a child, they would come to school the following day with a parent; not to investigate the issue, but to humiliate the teacher (and themselves) with a barrage of threats and bad words. Like I mentioned, these incidents were common place, they became ‘normal’. At 12 years old however, I could not imagine that those norms would transcend to my reality at age 24. Instead of the normal nonchalant Friday evening Happy Hour sipping down cold beverages at an establishment who’s owners are far removed from what’s happening on the streets, I took up the offer to participate in a Gang Intervention session hosted by the Assistant Commissioner of Police along with two well-known social activist; people who care about addressing the troubling atmosphere of crime in Belize. Before entering the conference room at the police station I tried to prepare myself mentally for the session. I anticipated that when I entered the room I would encounter about 5 ‘badman’ who represent the different active gangs in Belize City. No doubt I knew they would meet the descriptions provided by the news houses each and every night; tall, dark, ‘scary’ men in their early thirties, wearing loose clothing and a cap. I guessed that when I entered the room I would be surrounded by people who probably never smile and never laugh, people who probably have 10 locks on their front doors. With one final inhale and exhale, I entered the room. My anxiety level soared through the roof. My eye contact was promiscuous in the moment, moving from one set of edgy eyes to the next, until I resigned my glare with that of the activist who invited me to the session. There was no way this could be real. In no way could I anticipate meeting the eyes I did. The room was crowded with about thirty YOUNG men. About twenty of them were either my age or younger and the rest was probably two years older the most. There were young men, gang representatives, who looked maybe 12 and 14 years old. Despite the raw, dense tension in the room, their eyes, smiles, laugh and interaction among their peers was just like me. They dressed like me and looked like me. As I looked at each of these brothers, gang members, YOUNG men, some who have attended MY primary school, my class, sitting right next to me in many instance twelve years ago, a sadness darted up my spine because I knew, I am him, and he is me. How? How did this happen? How did we end up on different paths, when I am him and he is me? Same family background, same environment, same physical features and even the same financial background. Some would say it is because many of those young men ventured off from Religion, but that is rubbish. I have removed voluntarily removed myself from Religion for the entire second half of my life, and it has not resulted in me being violent or a danger to society. Some would say that these young men have become who they are because of the absence of a father in the household or because their mother leaves them at home alone while she’s at work, but that too I am unable to accept, for I experienced those as well and have not turned out for the worst. Vybez Kartel music, getting tattoos, drinking, partying, skipping school, quitting school are all thrown around as potential causes of delinquency and crime, but again, I reject those, for I have been there and done those as well. Then what? I can’t say I have slept on this troubling question over the past two days, because the truth is, I haven’t even been able to sleep. Why is it that I, no different than any of them have been able to graduate and create legal employment opportunities while living a peaceful and lawful life, while many of my childhood friends have not been able to? We had all started from the same starting line under very similar circumstances, so why is it that some of us are at different lengths on the track, some of them have ran into trouble with the law, and a few have literally ran out of life. How? I suppose that the situation is a result of a multitude of contributory factors, within and outside of these young men’s control. When I look back, scrambling to identify what factors led to my friends and I venturing down different paths, there are a few things that come to mind. There are teachers who get frustrated with slow learners and simply give them passing grades, so that they can get rid of them as their problem. What that causes, and I speak from fact, is that in Standard Six, the final year of Primary School, I would have classmates who are still unable to read. Yes. I would have classmates struggling to read ‘The three little pigs’. Many of these students would feel out of place in the classroom or even embarrassed, giving rise to their frequent absence from school. I do not blame the students for being slow learners, but I do blame the parents in that regard – for not noticing or caring that their pre-teens cannot read elementary books – and I blame the teachers for growing indifferent toward slow learners. Secondly, there are parents who would come to school to reprimand teachers for scolding or disciplining their children – who they know are not the most well-mannered. This does not help, enabling bad behavior does not help anyone, and it only hurts. To the students like myself, the fast learners who ‘help’ friends by allowing them to copy our work, it does not help. Taking the time out to correct, teach and help, helps! To the big brothers who defend their little brothers by teaching them to be ‘bigger and badder’ and by beating up younger children on their behalf, how does that help? Help your little brother by using your influence to encourage positivity and constructive actions. Mentor your little brother. Nurture a gentleman. To absentee fathers, I pray for your conscience. But at the bare minimum, respect your children’s mother(s), teach your sons by example how to love and respect life and people. Even if you are unable or unwilling to contribute financially, your presence can make a difference. To the affluent people who use these young men as their ‘bodyguards’ or to constitute an entourage – knowing they would wipe their hands the second these young men harm someone on their behalf, you too contribute to the situation. My brother, you are me, and I am you. As you feud with each other over whatever angers you, people outside your situation feud about ways to help you or, to be honest, get rid of you. Politicians are blamed, teachers are blamed, your parents are blamed even the television is blamed. Intellects, experts, criminologists, sociologists, psychologists and attorneys quarrel with each other about what caused your situation and how to save society from the mayhem caused by some of the activities you engaged in. When I was 4 these debates were held, and now that I am 24, these conversations are still playing on repeat; but action is required. My brothers, you are me, and I am you. My successes can be your successes, and similarly, your pain and anger can be mine. The person ultimately responsible for the direction you go in after this hour, is you. When you place your destiny in the hands of your gang leader, a judge, a police officer, a politician or an employer, you are surrendering your control over you! You are displaying a weakness that is directly contradicting to the boldness and badness I would imagine you feel when you hold a gun and point it at someone who looks just like you and I. The 24 hours in your day is the same 24 hours in mine. The money you invest in drugs, guns and bullets is no different than the amount of money I have to invest, personally – out of my pocket, in a laptop to hustle business, or in my education. The amount is no different than the money a barber has to invest in his equipment, or a deejay, taxi driver, farmer, car-washer, yard cleaner or general contractor. The energy you exert hopping fences while running away from police is no different than the energy I exert running down a bus to make it to work on time. The frustration you feel when someone discriminates against you when they find out where you live or how you look is no different than what I too experience many times. The nights you stay up paranoid, planning how you’re going to survive the following day is no different than my nights when I stay up stressed out, planning for a taxing school exam the following day; one that may determine whether I will graduate or not. The power that YOU possess when faced with good versus bad choices day in and day out, is no different than the power the Assistant Commissioner of Police has, or the facilitators, politicians, religious leader, your family and friends. It is no different than the power I control over the choices I am faced with. Please take back control over your choices; that is your way out. When I compare you and me, the only difference is that I have allowed my circumstances to empower me and not break me. When I look at you I see People that I care about. People that Belize cares about. I don’t see monsters or empty bodies walking around without any souls. I see my childhood friends, my neighbors, my brothers.